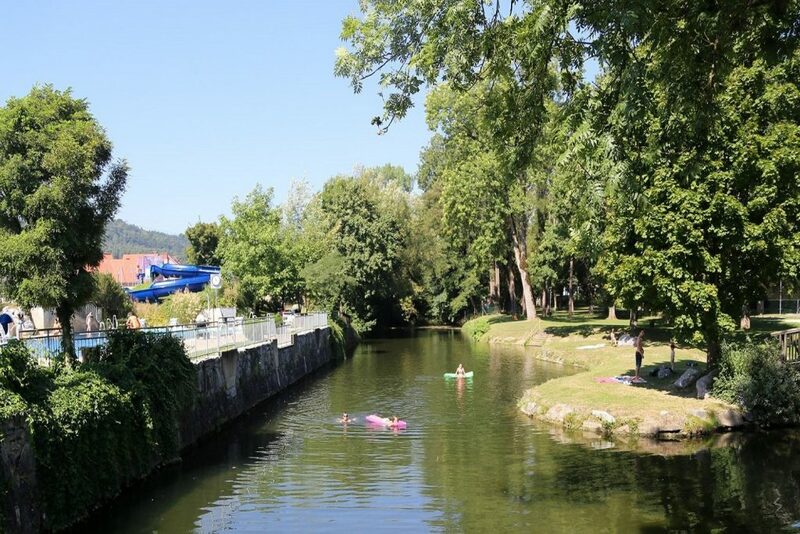 Styria’s oldest river swimming pool is a great place to spend the day and offers a wide range of activities for young and old. 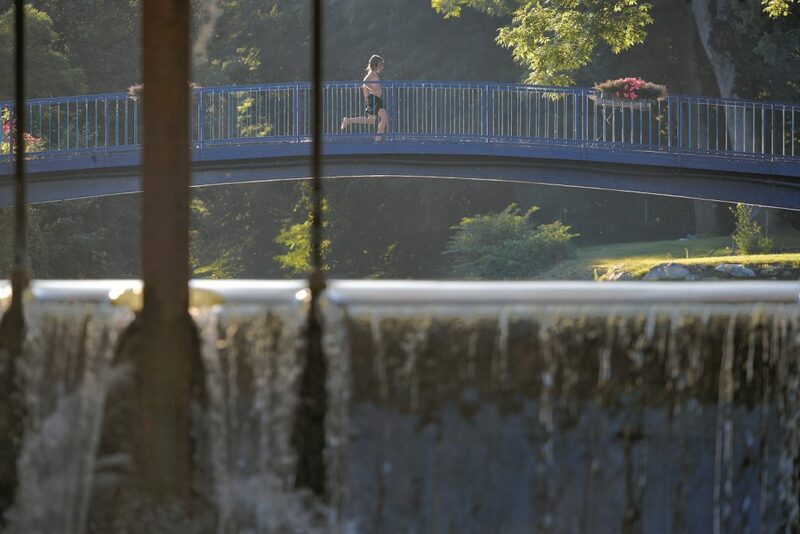 The historic Flussbad (river swimming pool) in St. Ruprecht an der Raab, on the Styrian Wine Country Cycle Trail, now also offers a modern family adventure pool. The cool waters of the dammed River Raab provide a much-needed chance to cool of on a hot day. The little ones can look forward to building dams, looking for stones or treading water. 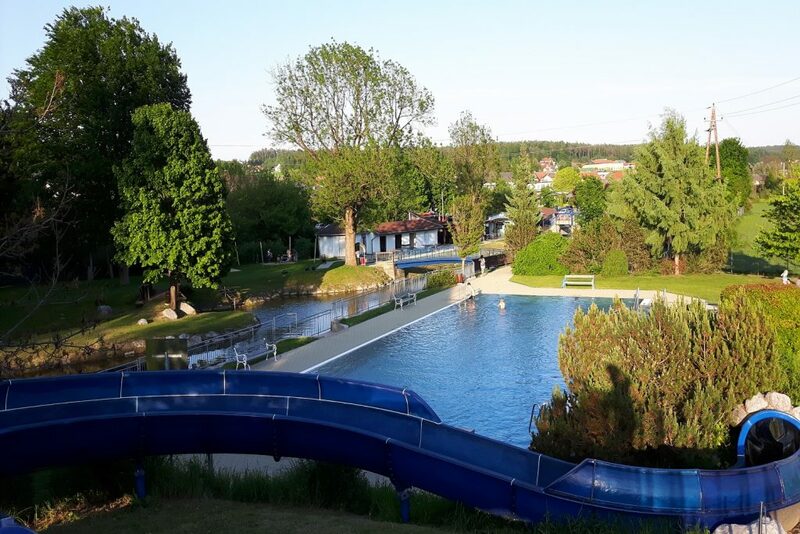 At the same time, this outdoor pool in the heart of Eastern Styria, not far from Graz, a large outdoor swimming pool with a 40 metre slide, massage jets and a waterfall. The little ones have a two-level paddling pool with a baby slide and a large sandpit, where the little ones can splash and dig as they please, while the parents can get a refreshment at the buffet or bar right by the river. There is also a large sunbathing lawn with old trees. This large amount of natural shade particularly valued in the summer. There is also a beach volleyball court, table tennis tables and a small football field. Right next to the river swimming pool you will find another beautiful place in St. Ruprecht an der Raab. “The park offers a truly delightful sight in spring and summer. A bandstand adds to its charm and it is connected to the part with the river bathing area – where new, purpose-built cabins have been constructed – by a little forest of conifers, through which several paths have been laid.” The language in this tourist brochure from 1889 sounds a little outdated, but this description of the old “Kaisergarten” next to the pool still holds true. At that time it was mainly Vienna and Hungarian spa holidaymakers that had discovered St. Ruprecht. To make the location even more attractive, the area around the bathing hut with the baths was levelled and turned into a park. 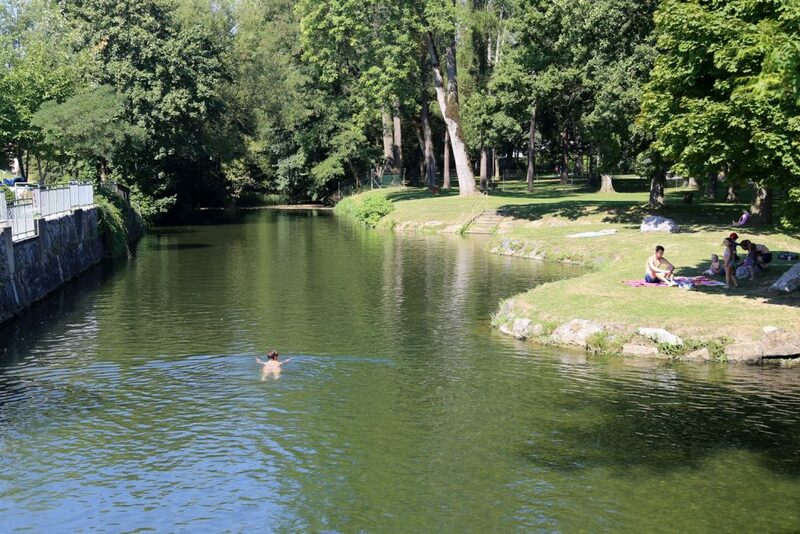 So it’s no wonder that the oldest river pool in Styria can be found in St. Ruprecht an der Raab.